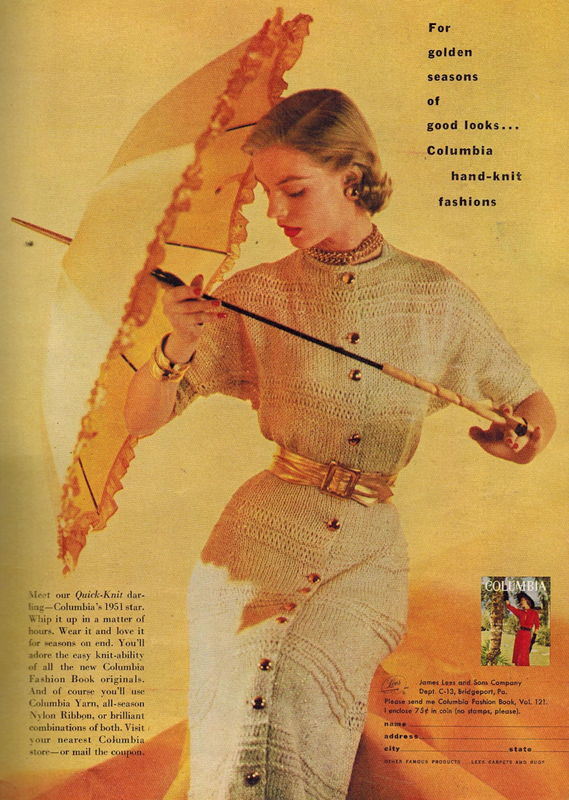 From 1951, this advertisement for a knit button-down sheath features such inspiring style. Too bad we can't send in the coupon for the pattern! The ad declares "Whip it up in a matter of hours. Wear it and love it for seasons on end." I don't know about knitting it up in a few hours, but it would be lovely to wear!